We are open today, Thursday August 17, through Sunday August 20, 9 am to 6 pm. Picking continues to be good with our later varieties--Dixies, Eberhardts, Stanleys, Jerseys. You can find earlier varieties as you walk around that are sweet and ripe, with good picking where others have missed. With 2.5 acres of bushes and 11 varieties, you have lots of flavor and opportunities for picking. We expect to be open through Labor Day weekend. 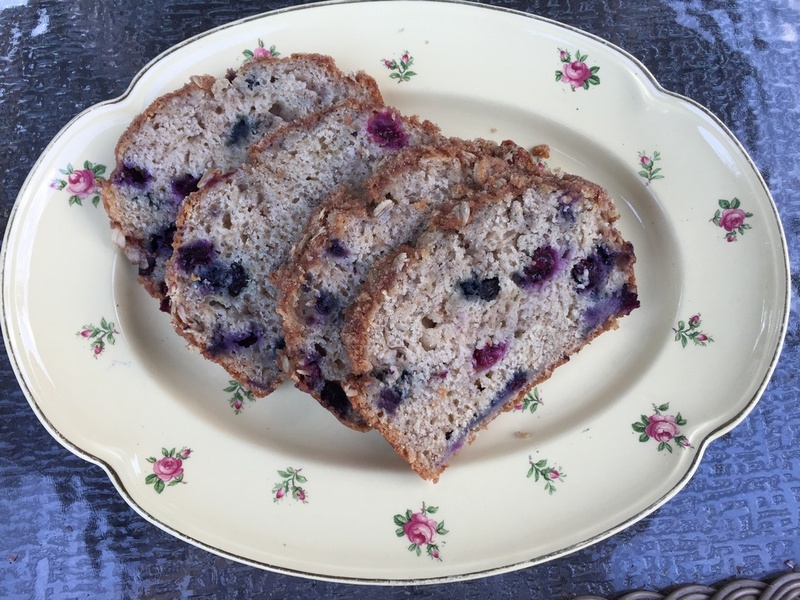 I made two batches of this blueberry-banana bread. The first batch went to a luncheon last Thursd...ay. Then, my family was so sad that there wasn't any of the bread for them to eat, I made another loaf. I keep mashed, ripe bananas in my freezer just for making banana bread. I'll post the recipe on this website.